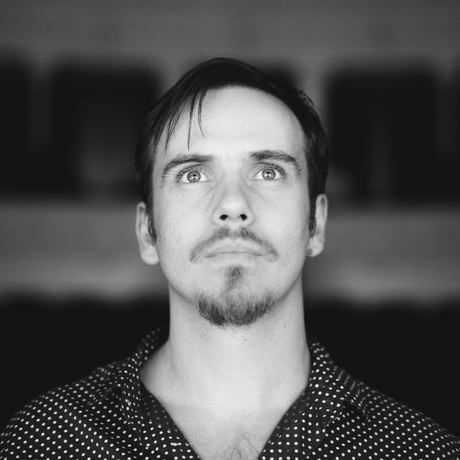 After graduating from the Faculty of Theatre and Television of Cluj Napoca, Adrian Damian continued his studies at UNATC Bucharest, completing his scenography studies in 2010. He has signed so far over forty scenography projects in Romania for important theaters like Craiova, Cluj, Iași, Timișoara, the Hungarian Theatre of Cluj-Napoca, Targu Mureș, Sibiu, etc., working with top directors such as Radu Afrim, Radu Alexandru Nica, Peter Schnider, Roberto Bacci, Alexander Hausvater, Ada Lupu and many others. A special place in his career takes the collaboration with director Mihai Măniuţiu, with whom he did 19 plays including ”Viața e vis” at the National Theatre in Timișoara, show nominated in 2013 by UNITER for the best scenography of the year, or ”Domnul Swedenborg vrea să viseze” at the National Theatre in Iași, named the best performance at the Theatre Festival in Oradea. In 2014 he collaborated with director Robert Wilson as associate set designer for the play ”Rinocerii” at the National Theatre in Craiova, and in 2015 he collaborated on ”Tihna”, directed by Radu Afrim, a play that won the 2015 award for best performance at the Theatre Festival ”Atelier Sfântu Gheorghe”, and that was nominated for the best performance of the year by UNITER, and the scenography was nominated at the Theatre Critics Awards in Hungary. In 2015 he was honored for his scenography by the Union of Artists, and he received the UNITER 2016 prize for the scenography of the play ”Cântăreața cheală”, performed at the National Theatre in Iași and directed by Radu Alexandru Nica.